If you are looking for a handyman in Chertsey and need to be confident that the job will be done well and at the right price you need to call in the Handy Squad. 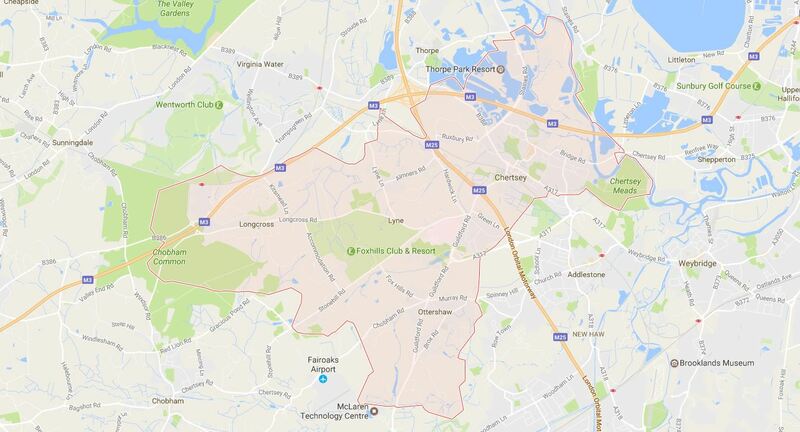 We have been operating in London since 2005 and we now cover all the KT postcodes in Surrey too. Our handyman London services are known far and wide, so you’re in good hands. Chertsey is one of England’s oldest market towns whose parish church dates back to the 12th Century. If modern-day thrill-seeking is more your thing, on the edge of town you will find famous Thorpe Park boasting a huge variety of stomach-churning rides! Historic Chertsey very much has the feel of a small town whose centre has a large number of listed buildings from the 16th and 17th Centuries. Chertsey boasts a wealth of landmarks, including the Church of St Peter, Curfew House and Botley Park. So if you’re looking for handymen in Chertsey, Handy Squad can look after your carpentry, painting & decorating, plumbing and electrical work and much more. From unblocking a sink to flat pack assembly, our handymen will get the job done to the high standard you would expect from us. To book your handyman in Chertsey, call us free on 0800 012 12 12 or fill in our online booking form.